Modern Embroidery Machines How Do They Help You Execute Complex Designs Easily - Trishtha Industries Pvt. Ltd. 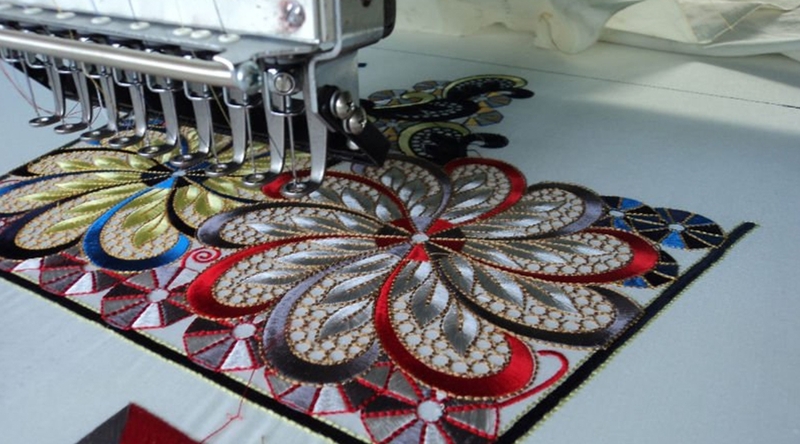 If you are in the business of embroidery, you know very well how difficult it can be to execute complicated designs. At one time, these used to be a painstaking process. However, with the advent of computerized technology, it has become easier to do embroidery. Unlike their primitive versions, these embroidery machines of modern times come with various features and capabilities that allow them to easily achieve intricate patterns without wasting much time and cost. Use Of Pattern Cards: These machines are integrated with a microprocessor that reads patterns information from design cards already integrated or uploaded into the system. The equipment uses the details to recreate the pattern, which takes very less time to do. The patterns already fed onto the card are created, and the entire process takes only a few minutes. Due to the ability of these machines to save time, more stitching projects can be taken and completed in the shortest amount of time. Multiple Needle Position: The needles of modern embroidery equipment are placed in multiple positions, which help the system to stitch through a number of layers of thick material, such as quilt. Good quality machines are able to sew a few hundred stitches every minute. Due to the quick-load thread cassette function these machines can automatically thread the needles. There is in-built facility within these devices for threading needles, which comes off as very useful while handling various stitching tasks. Easy Adjustment Of Needle Assembly: These machines are available with a motorized region for working and a system comprising of sensors. You only need to move the work zone and make adjustments to the needle assembly in order to change the style of stitching. If you are already aware of the technique of stitching, you can use this type of equipment to complete more intricate types of stitching projects with your machine. Memory Of Stitching Motions: The memory of these advanced machines is one of their main highlights. This kind of equipment is able to store memories of particular kinds of patterns or stitches and automatically replicate them. If you need to begin a project and have to complete it at a later time, there is no need for you to keep in mind the exact motions that need to be replicated. The sewing equipment can keep the stitching motions in its memory and use it for the next project of the same type.